To my taste, I find most manicotti quite bland. The standard offering is simply ricotta cheese mixed with parmesan, mozzarella, parsley, salt and pepper. I wanted more; to boost the flavor and add more texture. After two decades of various modifications, I have stopped tinkering and have settled on the recipe below. I hope you like it as much as I do. When I make this recipe, I make a big batch. 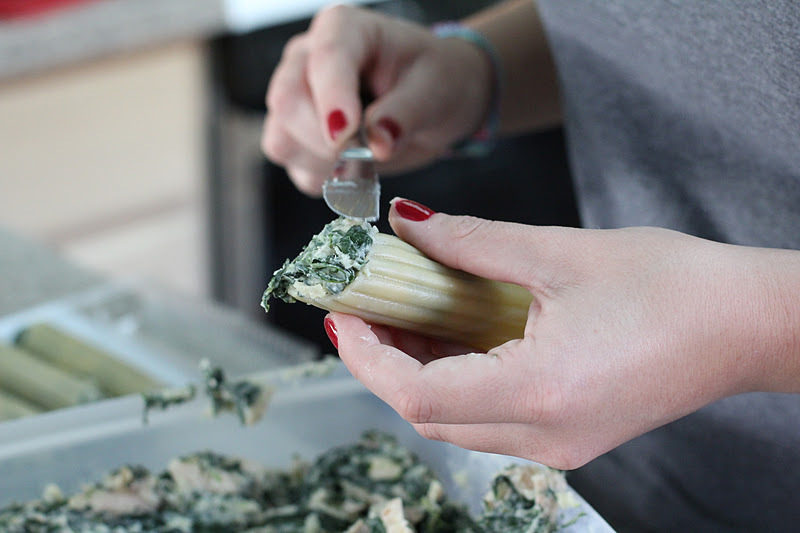 If I'm lucky, and often I am, there will be a friend or a family member lending me a hand with stuffing the manicotti shells with the filling. If I find that I am on my own, squeezing the water from wilted spinach, or facing a mountain of filling and fifty shells, I pass the time letting my hands do the busy work while my head is absorbed in listening to an audiobook on my iPod. It's a multi-tasker's dream come true. The prepared shells freeze beautifully - no defrosting required - before popping the marinara coated manicotti in the oven. While the manicotti heat to bubbling bliss, all that is left to do is to quickly assemble a salad and slice a crusty baguette. 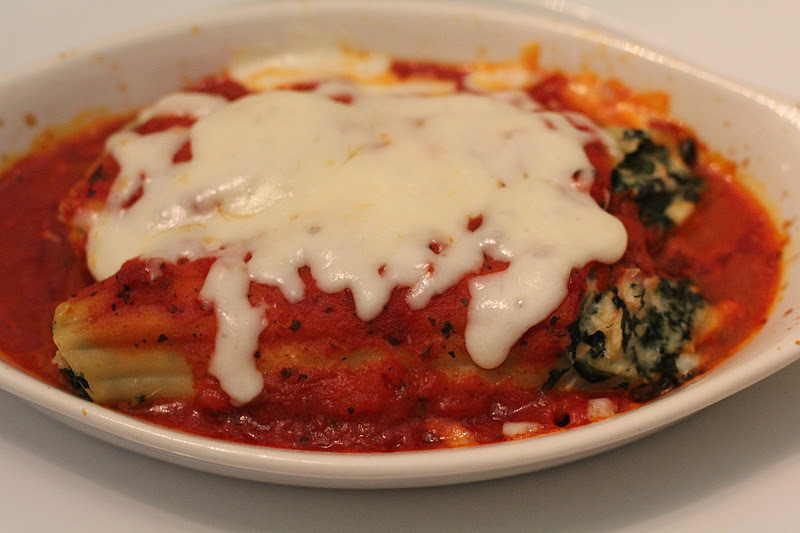 Manicotti may just be the perfect Friday night meal when you opt to stay at home, but you don't feel like cooking. You'll be happy to know that a hearty, delicious, homemade dinner is waiting in the freezer just for you, and yours. 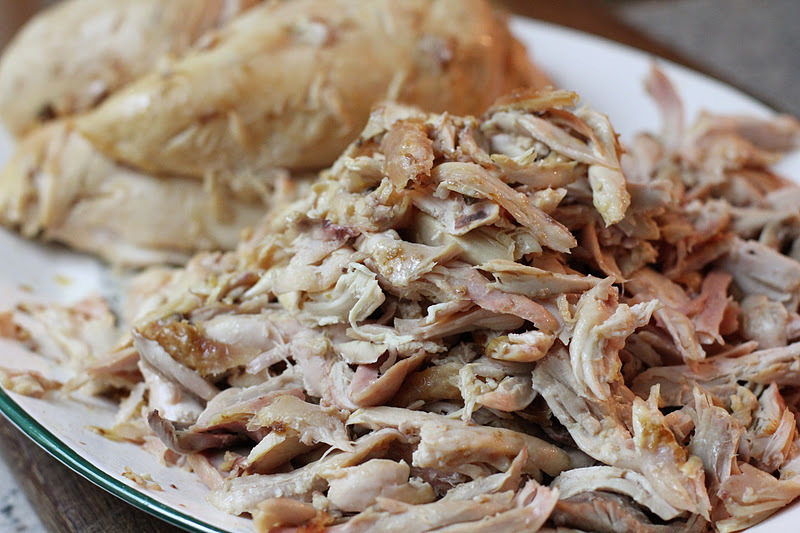 For this recipe, I prefer to use dark meat from two large or three small roasted chickens. Reserve the chicken breasts for another use. The sliced breasts make an excellent sandwich filling drizzled with Frank's RedHot Wings Buffalo Sauce and topped with crumbled gorgonzola - at least that has been my favorite lately. For an easy midweek lunch or dinner, I like to cube the breasts and toss into a Caesar Salad, or cut the breasts thinly and cascade the slices like fallen dominoes across the top of a Rockin' French Salad. My sister, Linda, shared with me that Barilla no-cook lasagne noodles can be used in place of tubular manicotti noodles. 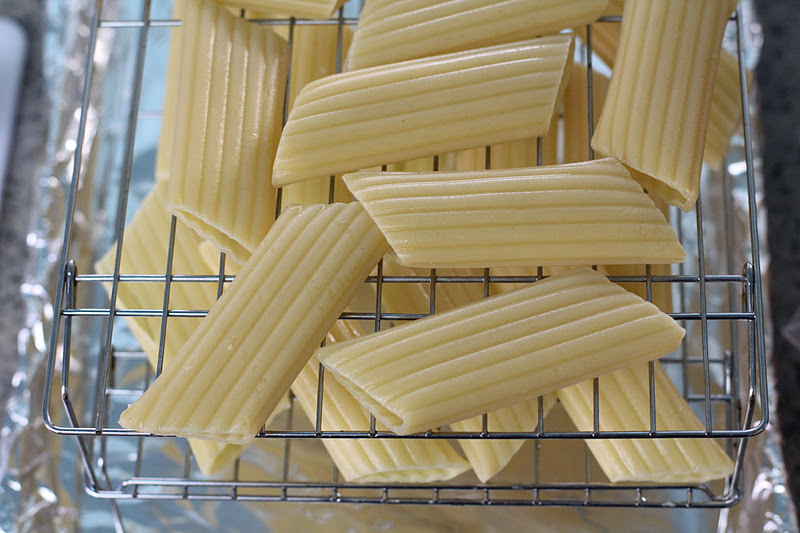 Simply place the lasgne noodles, one at a time, in water to soak about 10 minutes until softened. Spoon about a 1/3 of a cup of the filling along the front edge of one noodle and roll to create a cylinder. Repeat the process with the remaining noodles. Following the baking directions below, and reduce the time in the oven to a total time of 25-30 minutes. Also, a head's up, I make the filling in advance and chill overnight in the refrigerator. 1. The chicken can be prepped a day or two in advance. 2. 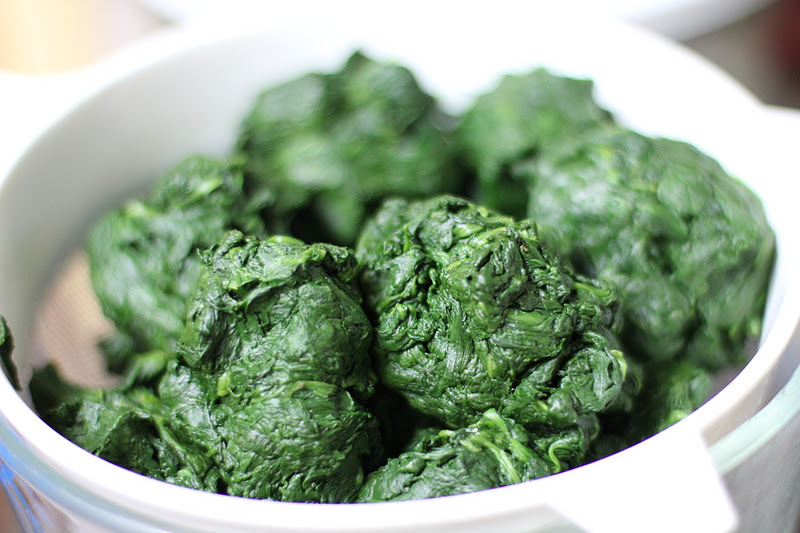 The spinach can be prepped up to 24 hours in advance. 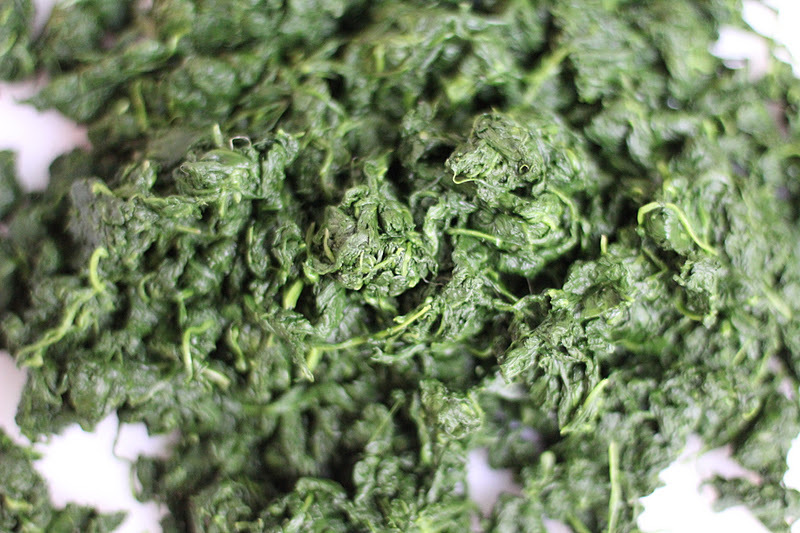 If using frozen spinach, defrost in the refrigerator completely, and wring out as much excess water as you can. Seperate spinach with your fingers and store in the refrigerator until ready to use. If you are using fresh spinach, prepare it this way. 3. 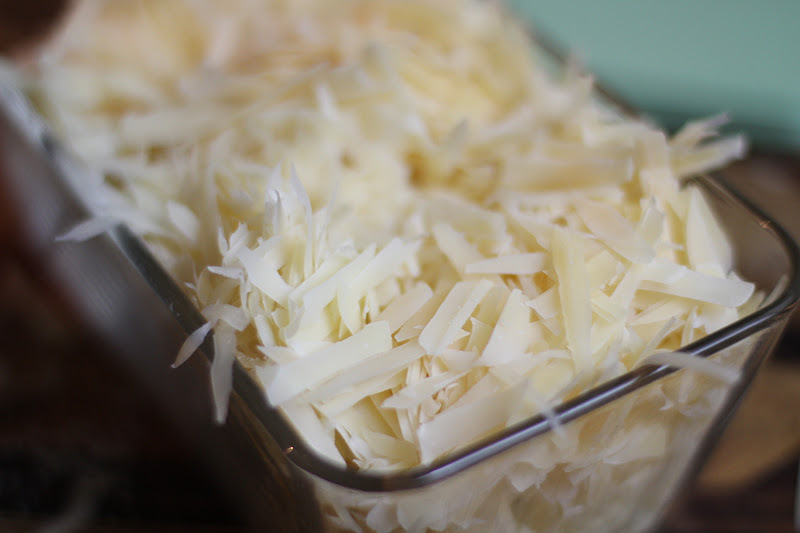 Up to 48 hours in advance, shred the mozzarella and parmesan, and store separately. 4. When mincing large batches of shallots and garlic, I like to put my food processor into use. Remove the husks from both the shallots and garlic. Cut larger shallots in half and place all of them in the bowl of a food processor, fitted with a steel blade. Mince the shallots by turning the machine on and off about 10 times. Transfer the shallots to a bowl and set aside. Mince the cloves of garlic by dropping them through the feed tube while the machine is running. 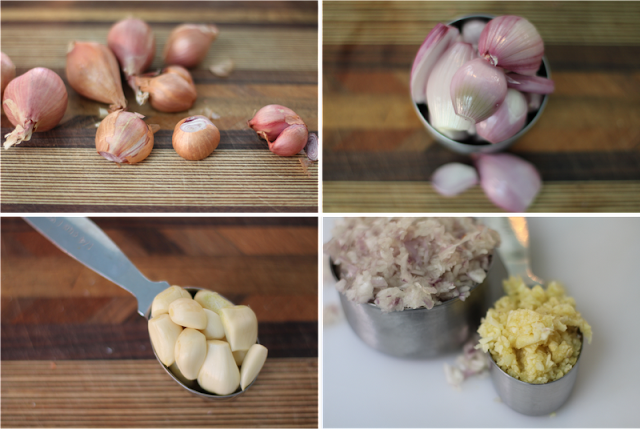 Transfer the garlic to a separate bowl and set aside. 5. In a large pot, set over medium heat, slowly cook the shallots in the olive oil. Sprinkle lightly with sea salt and few generous grinds of black pepper. Stir often for even cooking, about 8 to 10 minutes. 6. 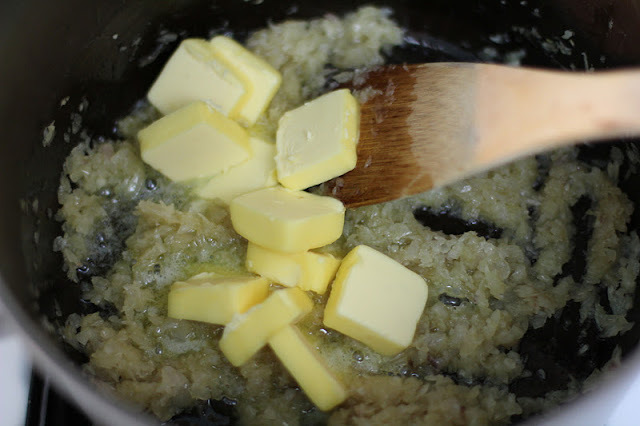 Add the butter to the pan. When the butter has melted, add the Italian seasoning and the chili flakes. Stir to incorporate. 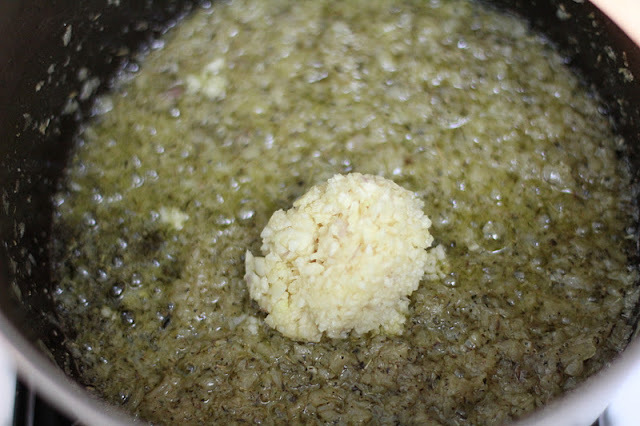 Add the garlic and cook, while stirring, for about 2 minutes until the garlic is fragrant, but not browned. Add the flour, and stir vigorously to incorporate. Continue cooking, stirring constantly for about 3 to 5 minutes. 7. While continuing to stir, slowly pour in the milk, a little at a time, to keep the mixture smooth. Continue cooking, stirring constantly, until the mixture thickens and begins to bubble about 10 minutes. 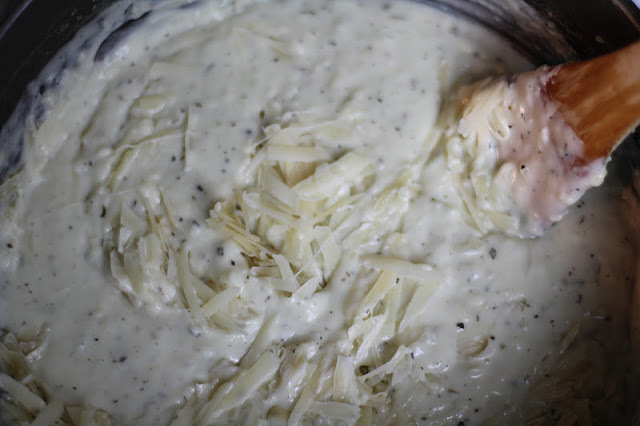 Add the shredded parmesan and stir until completely melted and incorporated into the sauce. Add the nutmeg, salt, pepper and Tabasco; stir. 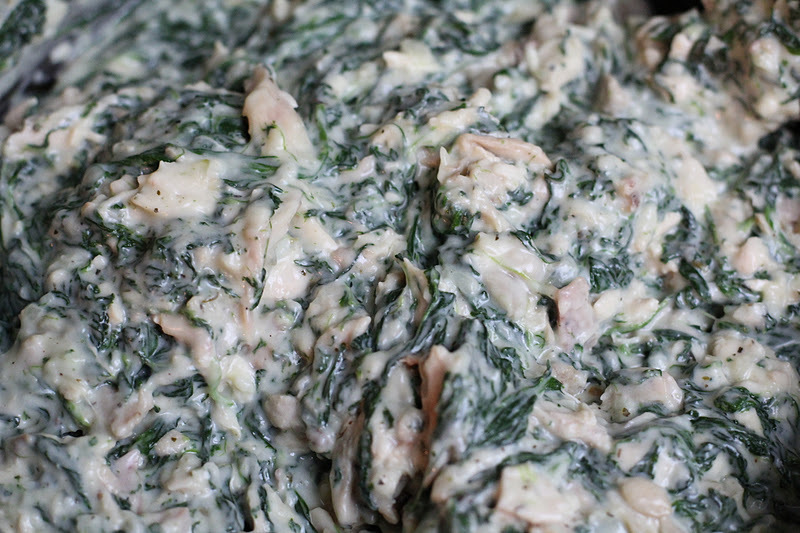 Add the spinach, a handful and a time, stirring well after each addition. Turn off the heat. Add the chicken, stir well. Let cool. Transfer to a large container and let rest in the refrigerator overnight. 8. The next day, boil the manicotti according to the package directions. Do not discard the plastic trays. I boiled the Barilla manicotti shells for exactly 7 minutes. 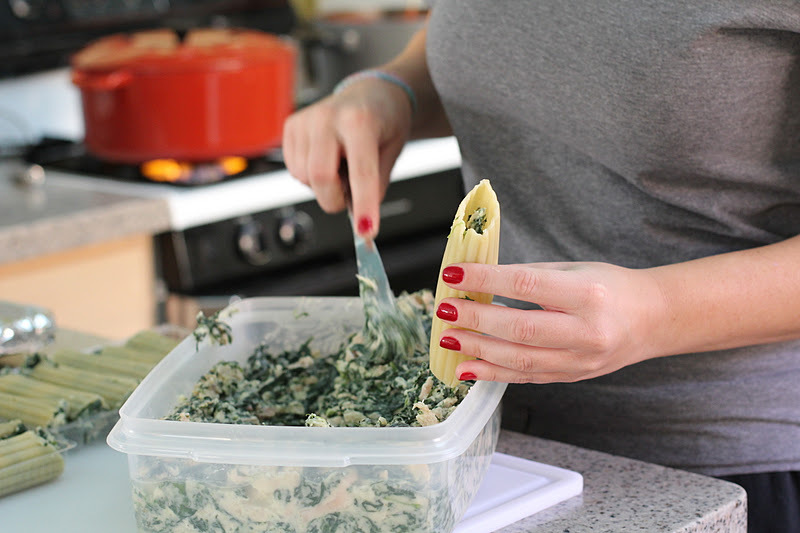 Using a large mesh spoon, quickly remove the manicotti shells from the boiling water to a colander (sitting on a plate to catch excess water). Immediately rinse the manicotti under cold water to stop the cooking process. Transfer the cooled shells to a rack. 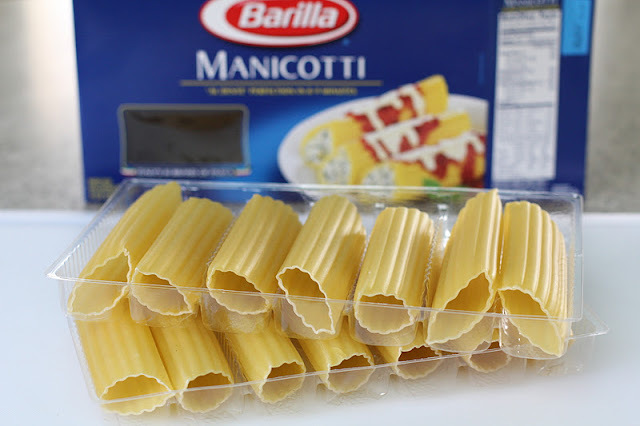 Repeat the process with the remaining boxes of manicotti shells. 9. Using a knife, scoop up a little filling at a time, and stuff each manicotti, compacting the filling from both ends of the shell. 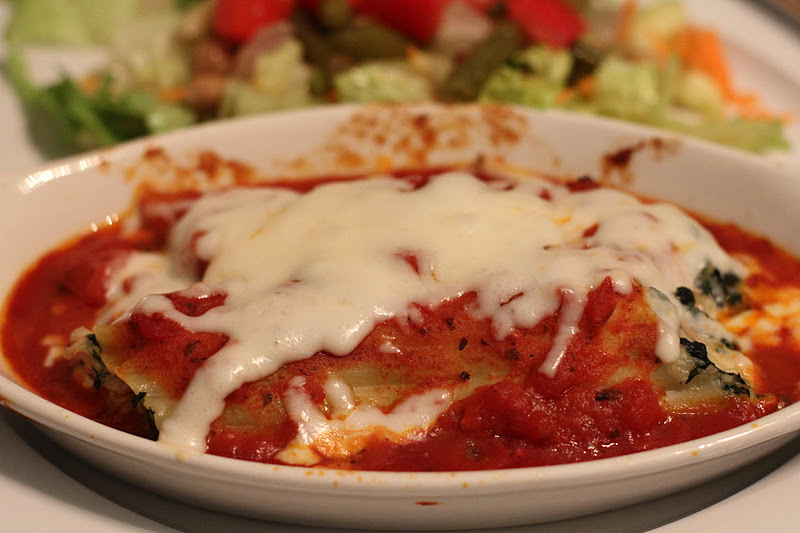 As you work, return the filled manicotti shells to the reserved trays. You will have enough filling for about 52 shells. 10. 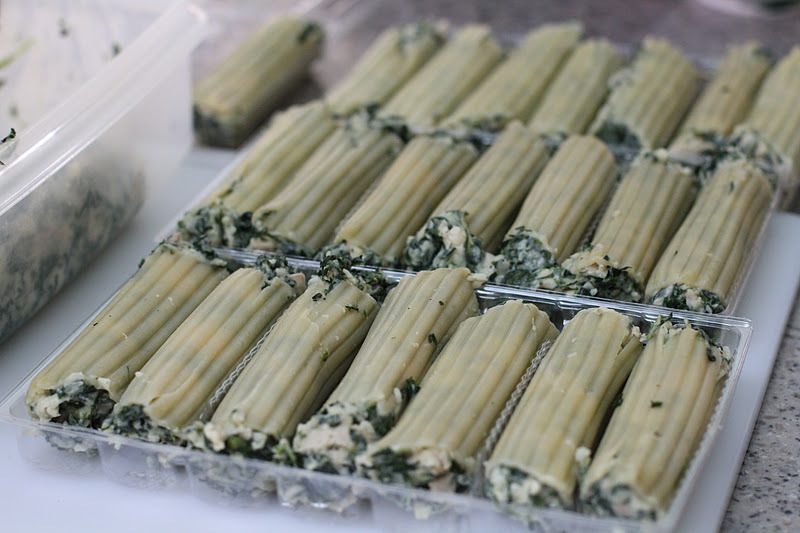 To freeze the manicotti, wrap each tray in cling wrap, and then in aluminum foil. 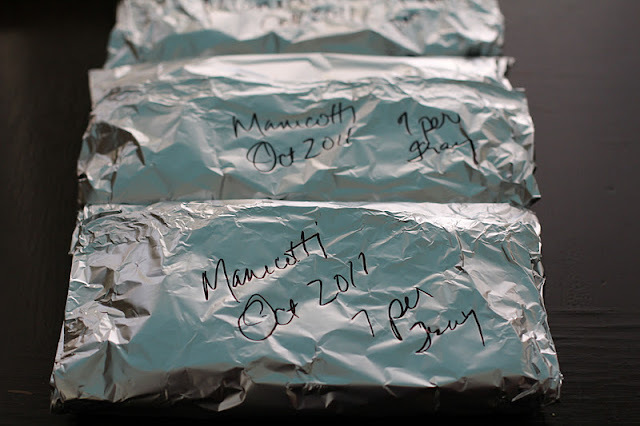 To identify the package later, use a fat Sharpie to write the quick reference details on the aluminum foil. 11. 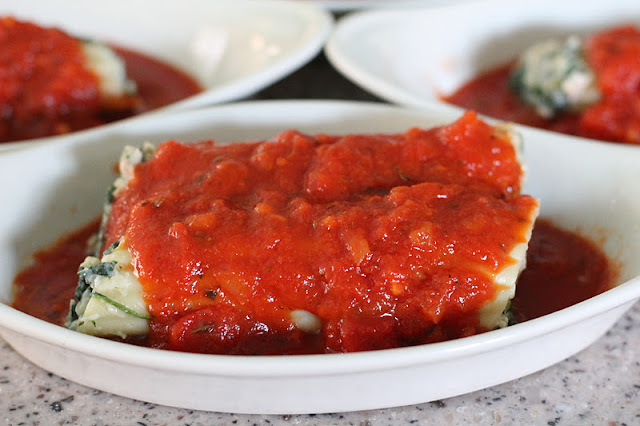 The bake, remove the required number of manicotti from the freezer. Preheat the oven to 350°F. Coat individual oven-proof baking trays with a misting of olive oil, and enough marinara sauce to coat the bottoms. 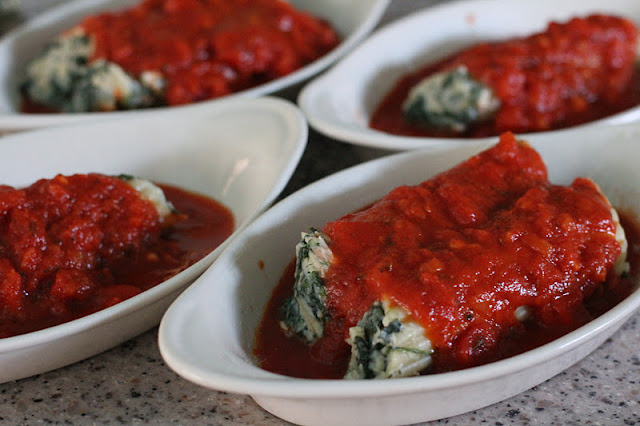 Place 1 or 2 manicotti per baking tray, and cover with additional marinara. Place the trays on large half-size sheet pans; cover with a large piece of aluminum foil. If using a casserole dish in lieu of the individual dishes, bake the manicotti in a single layer. Transfer the pans to the oven; bake until bubbly, about 35 to 40 minutes if frozen, and about 20-25 minutes if thawed (or freshly made). In the last five minutes of baking, remove the foil and discard. 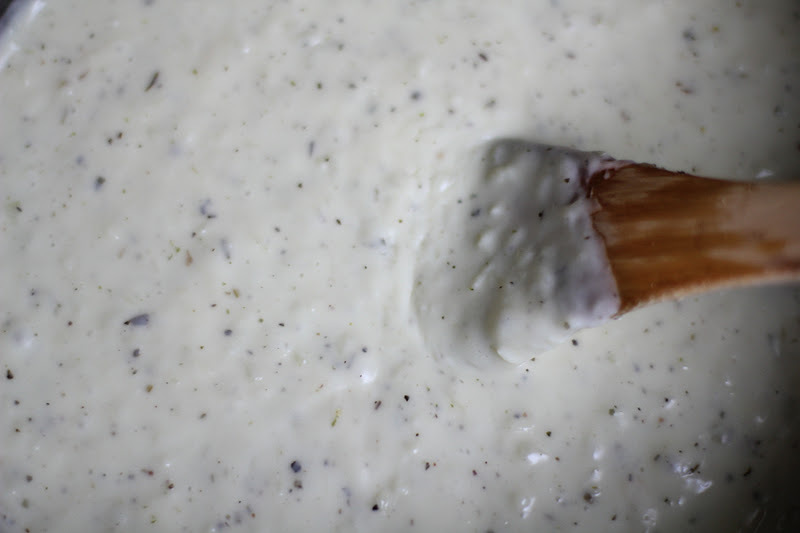 Sprinkle each serving with mozzarella. When the cheese is melted, the manicotti are ready to serve. I like to place the hot trays directly on oversized dinner plates that I purchased inexpensively at IKEA. The substantial rim protects one's fingers from the hot tray, and there is ample room on the plate for a side of leafy green salad and slices of crusty garlic bread.